When will be Up Late with Rylan next episode air date? Is Up Late with Rylan renewed or cancelled? 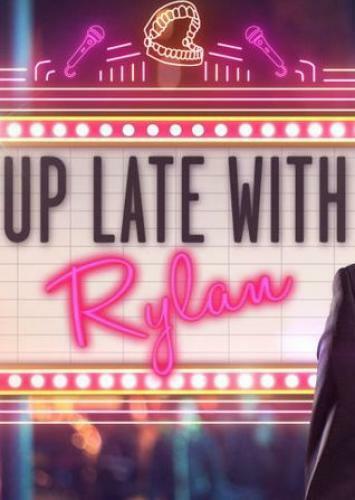 Where to countdown Up Late with Rylan air dates? Is Up Late with Rylan worth watching? A late-night talk show hosted by Rylan Clark-Neal which features celebrity guests and musical performances. The show will be recorded an hour before transmission, making it up-to-date with the latest news and gossip, before it goes to air. Rylan was joined by Kimberly Wyatt, Tom Davis, Kellie Maloney and Zak Abel. Vicky Pattison was on the bar. Rylan was joined by Matthew Morrison, George Shelley & Lilah Parsons & Dave Berry, Gary Lucy and Sinitta. Vicky Pattison was on the bar. Rylan was joined by Christopher Biggins, Tiffany Pollard, Kate Lawler and Alesha Dixon. Vicky Pattison was on the bar. Fun late-night entertainment show hosted by Rylan Clark-Neal, packed with celebrity guests, same-day gossip, music and games. Up Late with Rylan next episode air date provides TVMaze for you. EpisoDate.com is your TV show guide to Countdown Up Late with Rylan Episode Air Dates and to stay in touch with Up Late with Rylan next episode Air Date and your others favorite TV Shows. Add the shows you like to a "Watchlist" and let the site take it from there.